Different styles of bridge design! Use your wisdom to build different bridges and make the best choice! Become the master of the bridge! Each level has different restrictions. 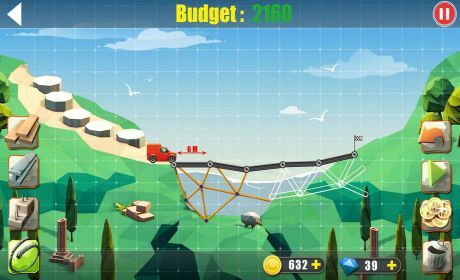 Under various restrictions, can you successfully build a bridge that allows vehicles to pass? On this basis, use less money to complete your most satisfying artwork! 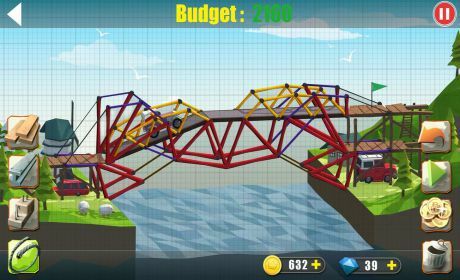 Enjoy the realistic simulation of the scenes of various vehicles crossing the bridge, as well as the pressure, material bearing, etc. More unexpected and interesting things are waiting for you to discover! Multi materials like wood, steel rope and steel are available for you to choose from. Complete your artwork with different materials! 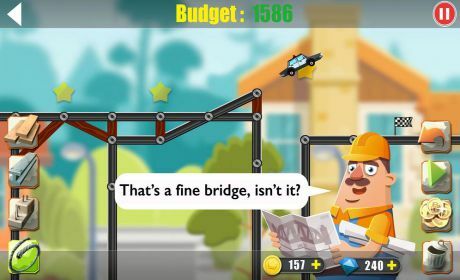 –	Download the bridge quickly and join us to be the most interesting designer!